It's hard to choose just one! Try eight sample soaps in Elegant Rose’s best-selling scents. 100% handmade, natural, and scented only with essential oils, these soaps will sure light the soap connoisseur fire in you. 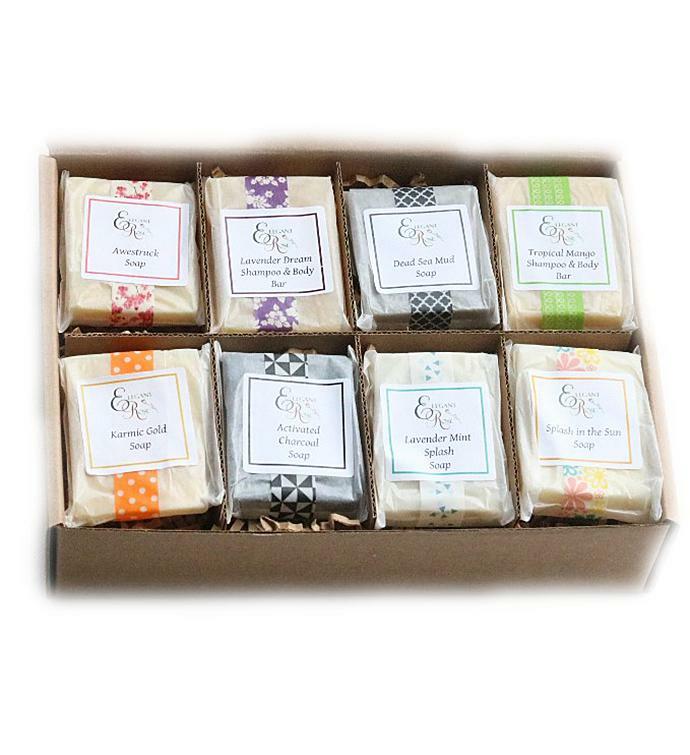 100% handmade, natural, and scented only with essential oils, these soaps will sure light the soap connoisseur fire in you.